And I have perfected that talent without it hitting my waistline. 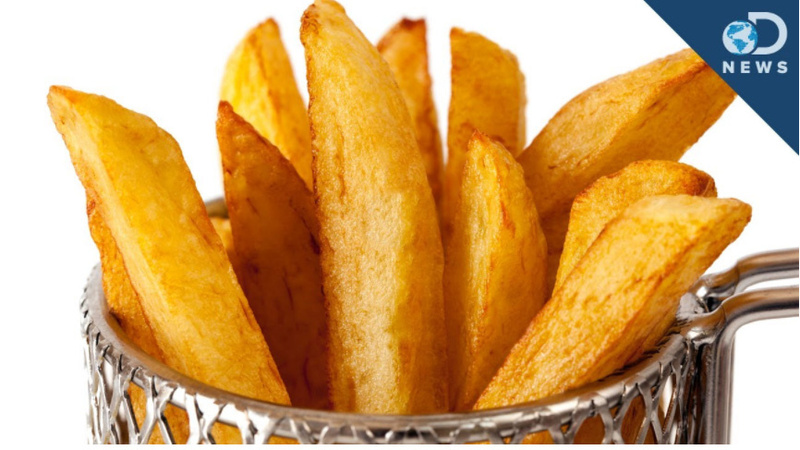 This is all supposed to be tongue-in-cheek, (in other words, entertaining) but buried in here too are pieces of advice that when applied to eating French fries can come in handy. First, we need a definition of one French fry. I call it a classic cut fry, fresh cut or frozen, 4 – 5 inches long. That’s 15 – 20 inches of French fries if you lay them end to end. That sounds like plenty doesn’t it? Compare that to the huge pile they usually deliver on your plate when you order in a restaurant. This isn’t shoestring fries, or waffle fries or even steak fries. You’ll have to adapt the visual and the math to convert to those shapes. So now that we have established portion size, let’s talk about how to eat them. I have been observing people eating fries for some time now. There are those who reach into the container with their fingers acting like pincher tools who grab a cluster of fries and jam the whole thing in their mouth. This is most often observed at fast food locations or places that sell skinny fries, but not always. Then there are those who take one long fry, bite part of it and then immediately push the too long fry into their mouth. Sometimes the mass is so hot and so much that they have to take a gulp of their drink. You don’t really get a lot of enjoyment from a fry when you approach eating them like they are going out of style. Believe me. They are not going out of style. I’ll admit, in my old days I fell victim to the bad habit of eating fries both of those ways. I’ve changed. So how to do I eat four fries and get satisfaction without waistline creep? I select one fry from the pile. In order to do this, I might even rearrange the fries on my plate looking for one that looks particularly tasty and is done to my liking. (I like my fries a little more on the done side – browner). I pick up my fry between two fingers and a take a bite about one inch long. Then I actually put that fry down on the pile and chew what’s in my mouth. Maybe I drink something or have a bite of whatever else I’m eating. Then I take another bite about the same size. See what’s going on here? I’m tasting my delicious fries and getting the full experience. I’m not inhaling them! I never eat all four fries in succession. Nope. The protein and veggies take center stage. The fries are a little bonus. If you’re temped to want to keep going back in and eat more just pick through the pile looking for the ones that are shorter. Much shorter. Those are the little crispy bits. You can have four crispy bits and that equals one fry. Now for the ketchup. That stuff is a sugar laden nightmare. Dip. Don’t dunk. Just put a bit of ketchup on the tip of the fry for the ketchup experience. I never clean out the ketchup ramekin. It always looks like I never even used it when I’m done. Better yet, dip your fries in 1000 island dressing. It has half the carbs of ketchup. I just order some on the side. They always give it to me. No charge. 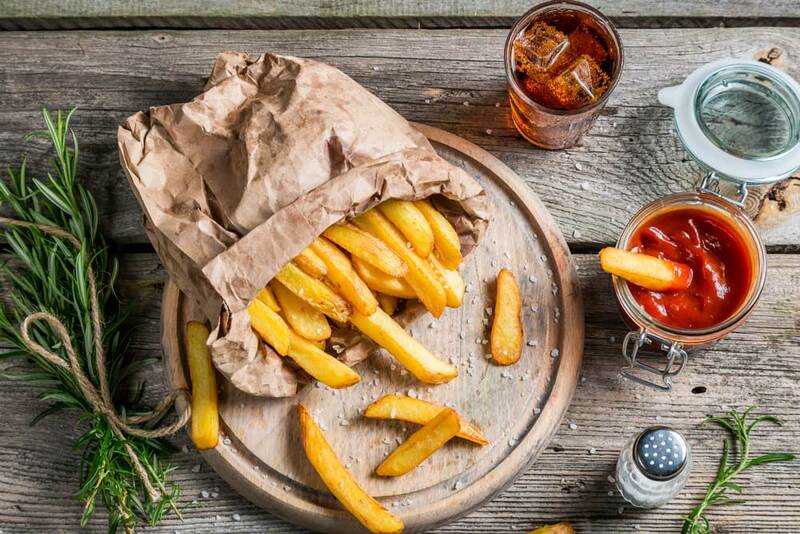 An order of fries according to Fat Secret’s diet site is 10 fries. The classic cut ones will set you back 16 grams of carbs. If you eat four you are under 8. My husband allows himself five fries. That’s his rule for himself. He’s taller than me. Just in summary I’ll tell you another quick story. I used to try to order four fries. It’s only worked once. One fry cook actually counted out four fries and they arrived on my plate just as I asked. Never again. Every other cook always piles them on and leaves the discipline to me. When I am finished eating and I have that massive pile of fries still sitting on my plate I have had to learn to let go of the guilt. I usually put my paper napkin on top of the fries to let the waitperson know I am finished. I might even push my plate away from me a bit or set it to the side. That’s my signal to myself that I’m not going back in there for more. I’m done and satisfied. 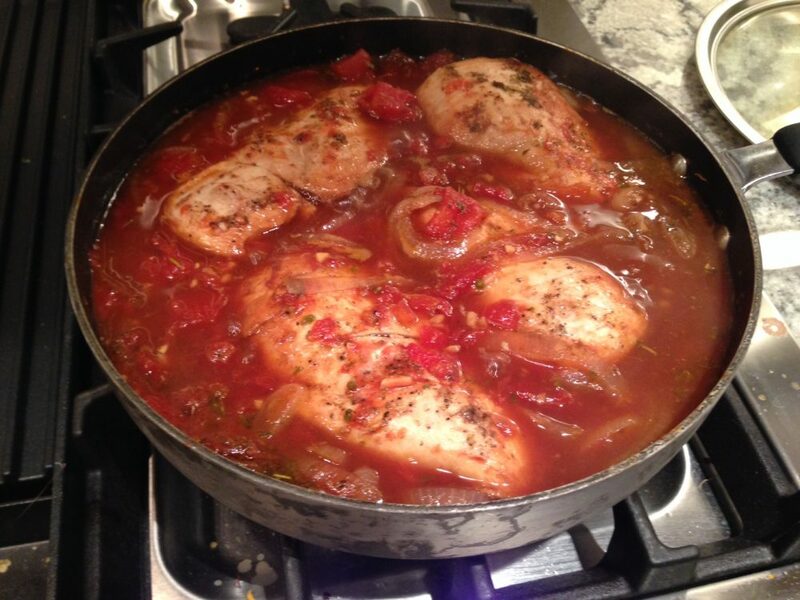 This is a super easy meal to make; made even easier by doing it in your slow cooker. Simple Italian. 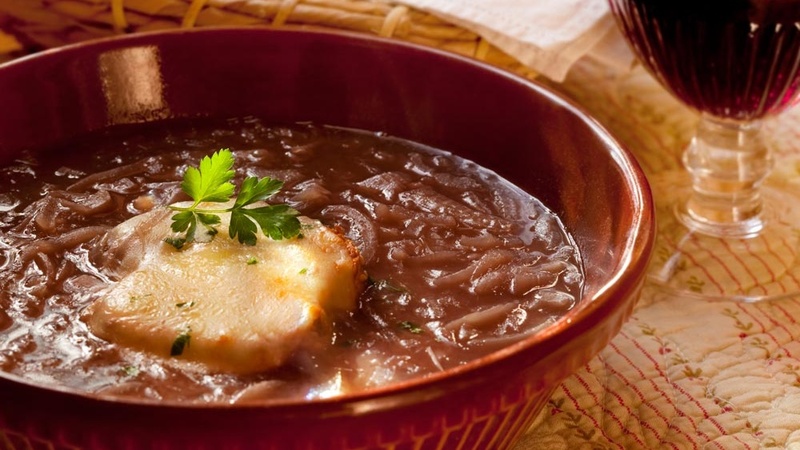 This French onion soup recipe is for the ZReboot phase because of its expanded ingredients list.